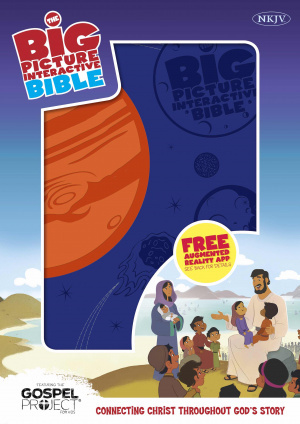 The NKJV Big Picture Interactive Bible, Creation Leathertouch by Mcpherson, Heath was published by Broadman & Holman Publishers in October 2015 and is our 64138th best seller. The ISBN for The NKJV Big Picture Interactive Bible, Creation Leathertouch is 9781433607806. Be the first to review The NKJV Big Picture Interactive Bible, Creation Leathertouch! Got a question? No problem! Just click here to ask us about The NKJV Big Picture Interactive Bible, Creation Leathertouch.